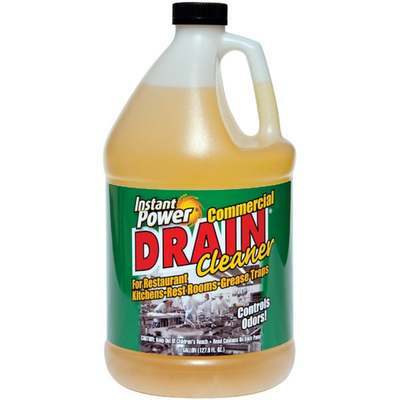 Used for the treatment and maintenance of drains and grease traps. Beneficial bacteria degrades and digests fats, oils, and greases along with other organic waste that accumulate in drains and grease traps. Regular use keeps drains clear and reduces the cost of frequent grease trap pumping. Treats kitchen and restroom drains Plus grease traps. Reduces fat, oil, and grease buildup. Reduces grease trap pumping. Controls odors. Use in restaurants, businesses, apartment complexes and homes. Safe for use with septic systems. Use 8 Oz. weekly.